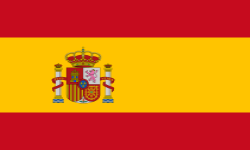 Languages: Galician, Spanish, English, French, Portuguese and Italian. Rivas&Montero is a law firm specialized in legal advice to companies and institutions who work in several sectors. Our law firm has an extensive experience in developing internationalisation projects. In addition to our team, we work with an extensive network of law firms in Europe, America, Africa and Asia. This allows us to provide a more effective legal advice in the area of investment and international transactions and operations. We try to offer the highest quality, optimizing processes and using technological innovations, in order to provide an excellent service to our clients. We have bet always for the human capital and we know that our out-standing quality is constituted by the team of lawyers who integrate the firm. Members of our Law Firm routinely collaborate giving lectures and workshops at national and international levels. We also have a significant presence in the media. In a globalised world such as ours, affairs have become increasingly complex and difficult and therefore it must be offered more imaginative approaches. Our Law Firm uses innovation and creativity in the legal area to offer effective solutions. - International investments and operations. - Law of the real-estate property. - Communication and audio-visual law. Intellectual property. - Judicial procedures and at the Courts.